All our products are digital - that means instant access and never lose a product again! Start with the System and LottoPredict to get up to 98% win rate fast. Then add the optional PRO Custom Profiles if you want to win faster and more often. Or get them all together in a LIFETIME PACK with a giant discount offer. You get all our products for half price... that's 50% off today! Included is a Winner's Circle membership too - all in one convenient digital Pack with nothing more to pay! Buy the Silver Lotto System first. This is your first move towards winning lottery prizes. This System will ramp up your winnings, no matter whether you spend $10 or $100 a game. You also get Free Updates and Free Coaching 24/7 until you win. Requirement to play: Play any lottery game in the world with 5 or 6 balls and up to 69 numbers including Mega Millions, Powerballs, EuroMillions and more. Add LottoPredict to your System.It saves you ticket money by telling you exactly each game whether you should play or not. Updated every Monday for 56 games around the world. Requirement to play: The Silver Lotto System. 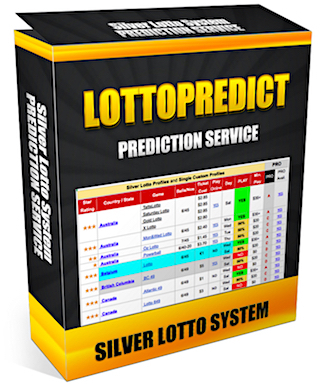 LottoPredict can be found in the Silver Lotto Membership Site. ORDER: Available from your Silver Lotto Membership Site at the LOTTOPREDICT menu. Want to play every game, and win faster and more often? Add PRO Custom Profiles and see your results rocket! 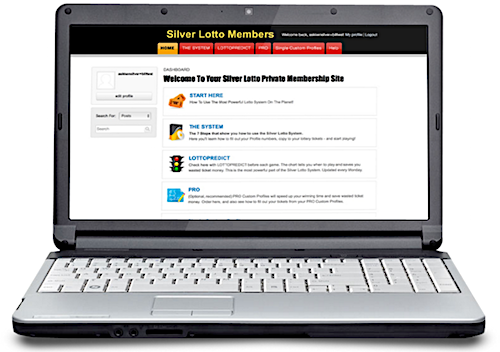 Requirement to play: You need the Silver Lotto System and a LottoPredict subscription to use. PRO Custom Profiles are a once-only price of $88 (normally $148) for a limited time. Can't be bothered spending 30 minutes filling out the Profile for your Silver Lotto System lottery tickets? I've done the work for you with a Custom Profile for most games. Requirement to play: The Silver Lotto System. ORDER: Just $37 each. 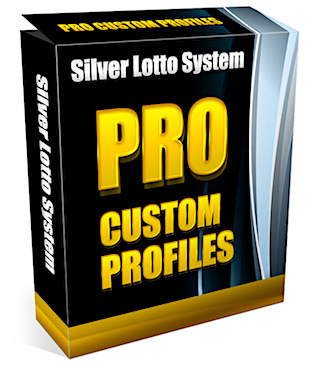 Order from your Silver Lotto System membership site and go to the Custom Profiles menu: LOGIN. The Winner's Circle offers a syndicate membership. I play my local lottery game and share any wins with you. Membership opens as Group members leave, so if there are no spots, apply to the waiting list. Requirement to play: From just $29.95 a month.